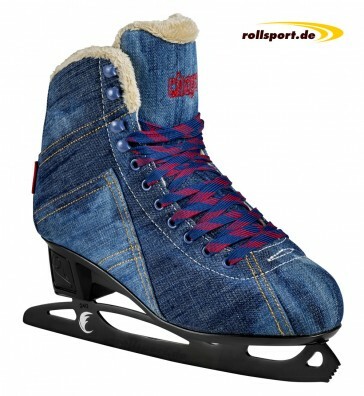 Chaya Billie Jean women ice skates - with super cool jeans design, warm lining and stainless steel skid. The Chaya Billie Jean women's ice skate convinces with its cool jeans design and the warm lining in the liner, as well as with a stainless steel skid. The skate can be laced with normal laces.